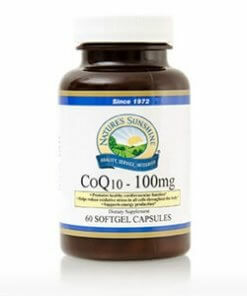 Nature’s Sunshine CoQ10 provides 100 mg of CoQ10, a vitamin-like substance that supports cardiovascular function. 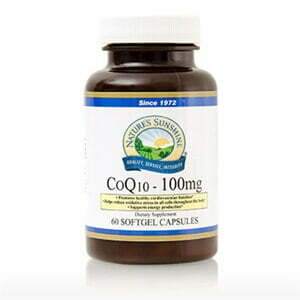 CoQ10 plays a key role in creating energy (ATP) inside the body’s cells. It also keeps lipids from oxidizing and helps maintain blood pressure levels that are already normal.